I hope after reading this post however, that you will indeed take time to reflect on your relationship to the God of heaven, to His Holy Word and to your earthly obligations to defend and protect...your loved ones against what is surely to come. 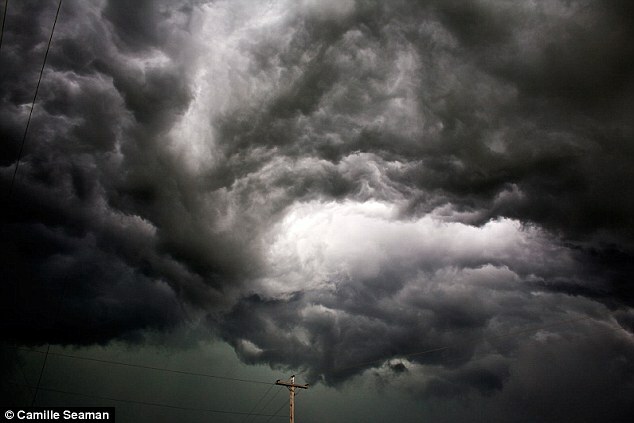 When we see storm clouds gathering, do we not seek shelter, and make sure our loved ones...and even the strangers around us are aware of the impending danger? The good news is, that just like in the days of Noah, there is today an ark of safety to run to. Sadly however, as the scripture already noted above makes clear, most will choose not to run to that safety. Amidst all the other emergencies, real and concocted here in the US, one has gone almost virtually unnoticed. But it’s a kicker. Guess where we are going today? To buy dozens of eggs. We have two fridges and we’re stocking up. 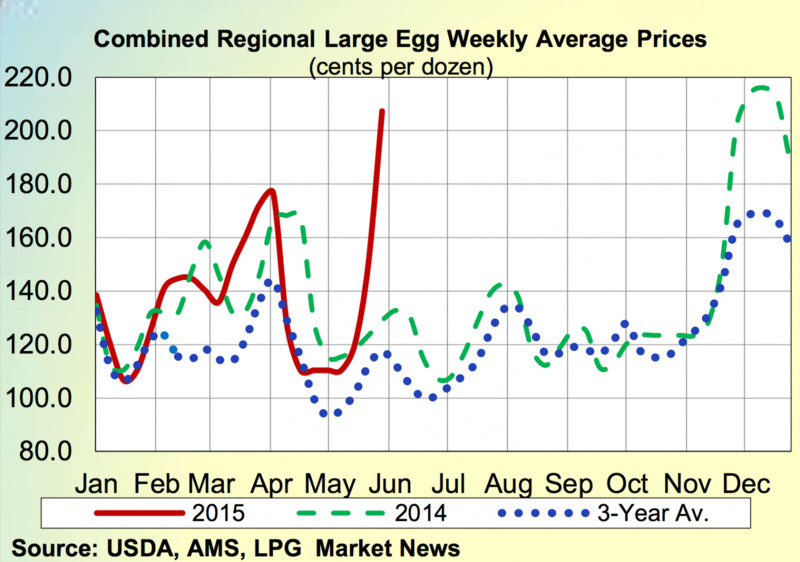 Consider it our modest way of getting into the commodities market in egg futures. Fully 25% of the US’ chickens and turkeys are now ‘offline,’ which is a nice way of saying they have died from the flu or have been euthanized. If one bird gets sick in a batch, they slaughter all of them. DES MOINES, Iowa (AP) — Millions of dead chickens and turkeys lie in stinking, fly-swarmed piles near dozens of Iowa farms, casualties of a bird flu virus that’s swept through the state’s large poultry operations in the last month. Contractors hired by the U.S. Department of Agriculture move methodically from barn to barn at the 28 farms, killing the animals that haven’t yet died from the H5N2 virus — a suffocating foam for turkeys, carbon dioxide gas to asphyxiate chickens. 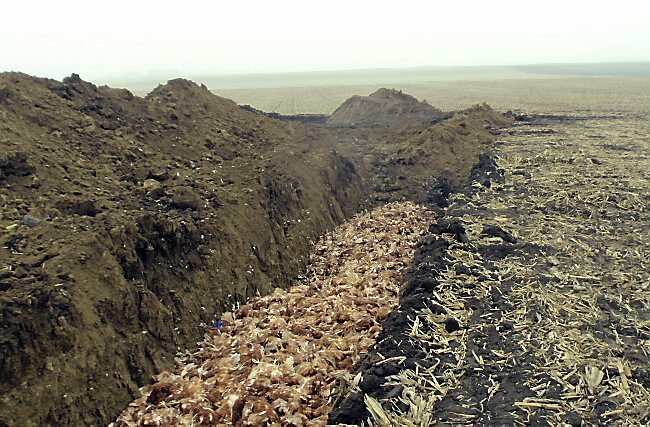 Neighbors say they understand the challenge the state’s producers face in disposing of more than 20 million bird carcasses, but are eager for quick action, especially as temperatures rise. “People in low-lying areas near those facilities have contacted me complaining about a very large number of flies and, until the wind comes up and goes the right direction, a lingering odor,” said Sen. David Johnson, whose northwest Iowa district includes Sunrise Farms — where 3.8 million chickens in 20 barns are dead or dying. Iowa, which raises nearly 20 percent of the nation’s egg-laying chickens and produces nearly one in every five eggs consumed in the U.S., saw its first reported case on April 13. Since then, nearly 21 million chickens and 470,000 turkeys have died, are dying or are in line to be euthanized. It isn’t the only state dealing with the issue: More than 100 farms in the Midwest have been hit, leading to the loss of more than 28 million chickens and turkeys — 5.5 million of those in Minnesota, the nation’s leading turkey producer. It is so dire out there, a number of suppliers are going to what they call “eggless eggs.” These are eggs produced from plants. Sounds so very tasty – not. Whataburger has announced that it is going to be limiting the number of hours that it serves breakfast. McDonald’s and others can’t be far behind. They will either limit hours serving, raise costs, limit their menus or all of the above. I almost feel sorry for McDonald’s – they are mostly shutting down in San Francisco because of skyrocketing property prices. Then there’s the minimum wage fiasco – $15 an hour will also shut them down. Heck, in de Blasio’s commie utopia, 1 in 5 fast food joints are closing their doors now because of the $15 an hour extortion imposed on them. Seattle, Portland and LA are lining up as well. You have to wonder about Walmart running national ads about how great they are since they will be paying their employees higher wages. Egg timer on viability anyone? But, I digress. “Clinicians should consider the possibility of highly pathogenic avian influenza H5 virus infection in persons showing signs or symptoms of respiratory illness who have relevant exposure history,” the CDC said in a health alert issued to doctors. Boy, this would be an elitist’s dream… how to reduce the population and fast. Let’s pray that this virus does not jump the shark. I’m in Oklahoma – the rationing is in Texas and soon to come in other states I presume. The egg shortage and Bird Flu pandemic is just one emergency… we are caught in the middle of a number of harsh scenarios playing out. Everything from the drought in the west which will cause food inflation and other ramifications, to terrorism threats from ISIS. From the attack in Garland, Texas to the take down of two Jihadists in Boston who were planning to behead Pamela Geller and police officers, lone wolf attacks and worse are becoming a reality here in the States. Yesterday, a US Customs and Border Protection (CBP) helicopter was shot at and had to make an emergency landing. The shots came from Mexico and it’s your best guess whether it was the emboldened cartels or ISIS, who has at least two camps there, or a combo of both. Now ISIS is bragging it can bring a nuclear weapon into the US… I suggest we pay attention with the non-existent borders we now have. Our cities are also embroiled in an epic crime wave, escalating across the nation. Shooting attacks — mostly ethnic minorities — are up 60 percent in Baltimore so far this year compared to 2014. Homicides are up 180 percent in Milwaukee, 25 percent in St. Louis, 32 percent in Atlanta and 13 percent in New York in the same period. All because of Progressive-manipulated racism and riots, fomenting cop hatred. In other words, Cloward and Piven. Probably of the greatest concern to many here in the US is our massive unemployment problem, the fall of the dollar and it’s replacement as the world’s reserve currency. Did you know that a global bond crash has started? Didn’t hear that in the news? I’m not surprised. Why do you think they want to do away with tangible money? The powers-that-be want to go digitized so they can implement taxes and a global fiscal confiscation “haircut” to bail their sorry asses out as the fiscal emergency — of their own creation — continues to spiral out of control. The Chinese look to take control with the Yuan as the new global currency. Since they are our biggest debt holder, what do Americans think will happen when they come to collect? Militarily, Russia, China and Iran are plotting and planning on a World War to end all wars. And with a neutered US, there may be no one standing in their way of global conquest. I saw one major media outlet predict WWIII was a sure bet beginning this summer and to pray it would not be nuclear. If it goes full blown, nukes are a virtual certainty along with financial, cyber and space warfare. The fat lady isn’t belting it out in the US yet, but she’s humming a few notes. The Bird Flu is just one more note in a discordant visage playing out in America. Marxists believe you have to break a few eggs to make a communist omelet – I always thought that was supposed to be a metaphor.